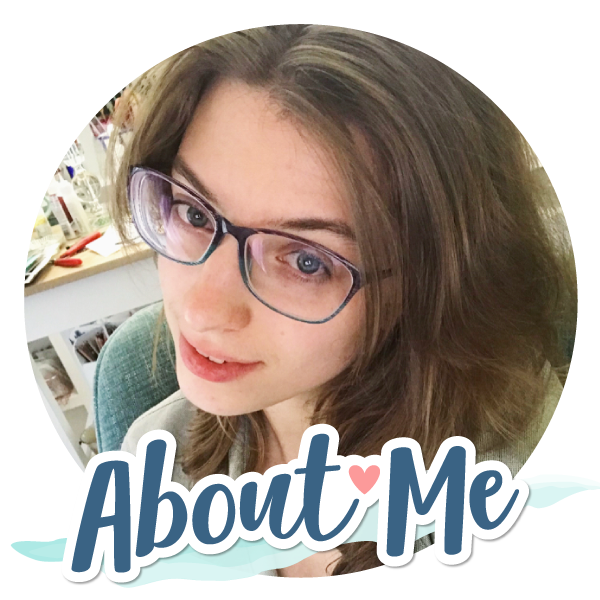 Hello creative friends! 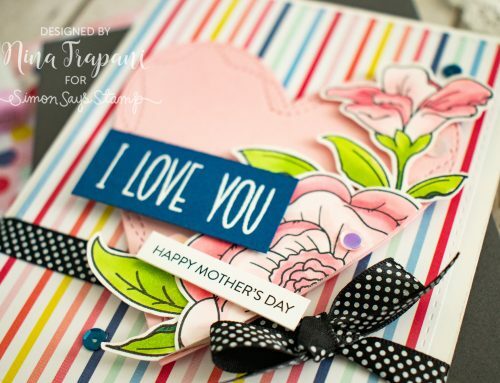 I don’t know about you, but I really love working with the darling, Big Picture Book dies from Simon Says Stamp. 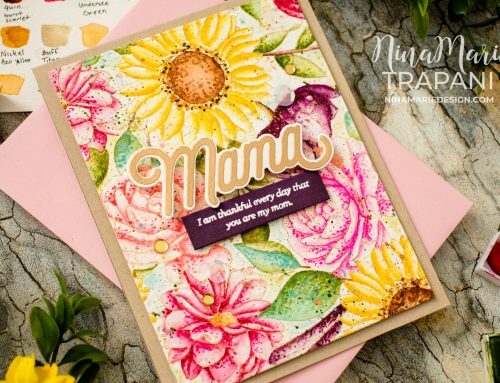 These dies fill up a card beautifully, making for a great – and easy – focal point! 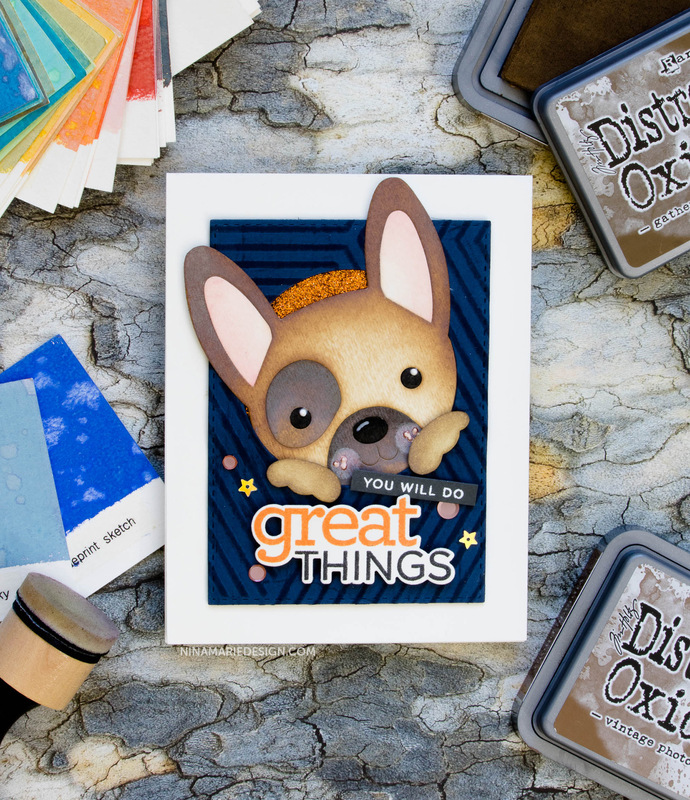 I started off by building the Big Picture Book French Bulldog; the die is cut from Bristol Smooth cardstock and colored with Distress Oxide inks. Using Gathered Twigs, Vintage Photo and Ground Espresso for the body, along with Tattered Rose for the ears and Worn Lipstick for rosy cheeks, I ink blended the entire puppy. I added black details with a Copic marker. For the ‘peek-a-boo’ panel, I die cut a circle window from Soft Navy cardstock and dry embossed the Mod Stripe stencil into the paper. Before removing the stencil from the paper (after embossing), I used Soft Navy ink and blended the raised areas for some subtle contrast. 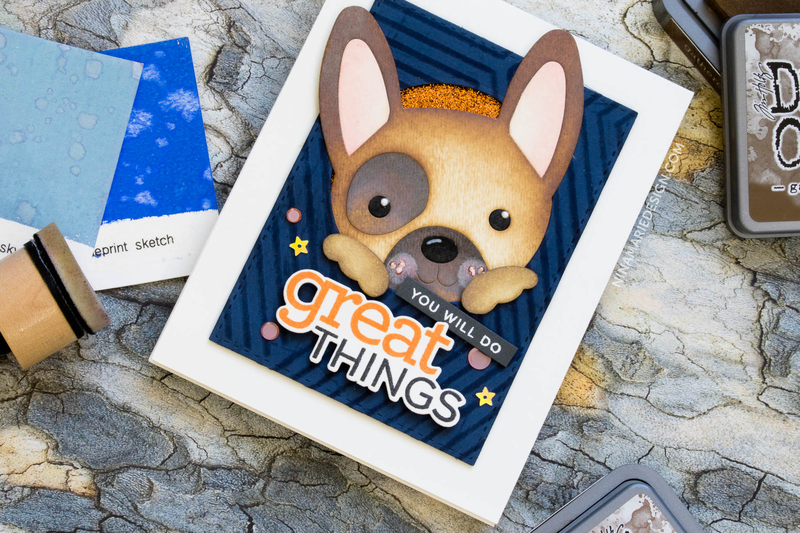 To put the card together, I layered the French Bulldog behind the circle window, along with a piece of orange glitter cardstock. Those pieces are then popped up off a white A2 cardbase. 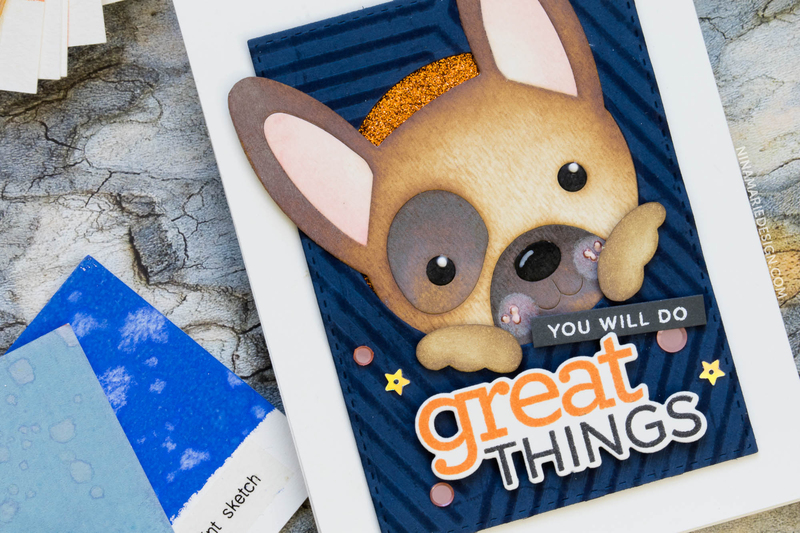 For sentiments, I used the CZ Design and Simon Says Stamp Great Things stamp set and I tucked sequins from a couple of different mixes around the greeting for a bit of embellishment. 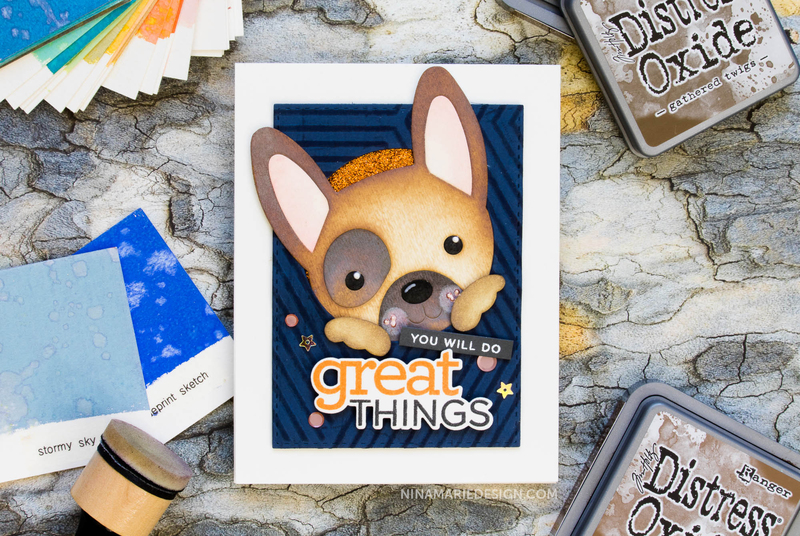 I hope you have enjoyed today’s inspiration using the Simon Says Stamp French Bulldog Big Picture Book die! 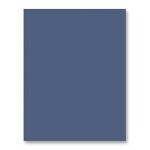 This card can easily be adapted to feature any of the other Big Picture Book dies Simon has in their collection. Thank you so much for stopping by and visiting with me today; I will be back again very soon with fresh inspiration to share with you! 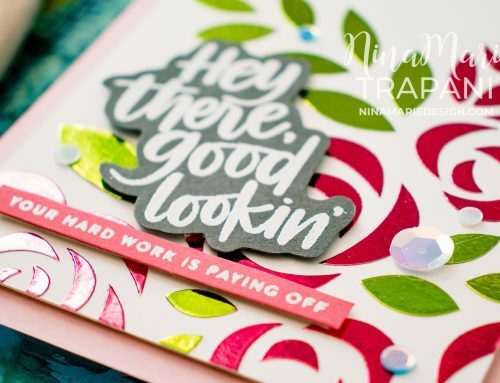 Nina, you’re so very talented, and do such a great job explaining a crafty process! And have inspired me to keep my craft room organized even more! Hope to see more from you soon!! I’ve missed your youtube videos. I hope you haven’t grown tired of us. I know they’re a lot of work. Wishing you well & hope to see you back on YouTube soon. Awwww Nina, how sweet is THAT? So cute. So super cute! I love the puppy! !